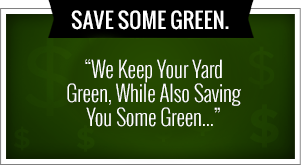 Make your home or business in the Tulsa, Oklahoma area be the envy of your neighborhood this holiday season, you need to get a head start with Green Leaf Lawn and our professional Tulsa Holiday Lights installers. 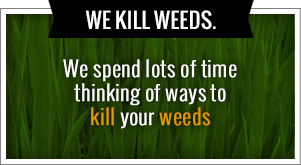 Call us today at 918-640-6405 or be sure and check us out online at www.greenleafweedcontrol.com for more information about what our company can do for you this holiday season. We also offer a wide variety of lawn maintenance services that can be viewed on our website as well. We look forward to meeting with you in taking care of all of your needs. You may already know what you are looking for in décor, but you may want a few suggestions from our staff. Green Leaf Lawn has the most incredible holiday designs to bring your vision to life. Choose from hundreds of holiday designs all engineered to last for years to come. Gorgeous lights, yard displays, lush foliage and trees, all created to ensure that yours is the most beautiful home in your community. Best of all, we at Green Leaf Lawn in Tulsa, Oklahoma will take care of installation, maintenance, removal and careful storage, so you can enjoy your Tulsa Holiday Lights for years to come allowing you to spend more time with your loved ones. You won’t have to do a thing but sit back and accept the compliments. LED lights are the latest in technology in Christmas decorating. As professional decorators we find that LED lights give us much more flexibility in the amount of light bulbs that we can use in any given display. There is also a power saving associated with the LED technology. The LED lights use approximately 10% less energy than our old fashioned incandescent lights. We are able to have grander and brighter displays than ever before, while consuming less power than a conventional bulb. They also have an acrylic outside shell which makes them unbreakable thus making them ideal for outdoor applications. They are resilient and do not break as easily. Installing Christmas lights professionally is not really a no brainer like many may think. When you are doing a professional installation there are many things you should take into account. One of the first things that must be determined is the power supply available and how many lights can actually be run off a single power source. There is often more than one power source in a home. To install these decorations we have variety of different clips, fasteners, and attachments to secure the decorations to the home, business, or objects. These fasteners will enable us to put up a display without having to use nails or staples which could compromise the construction of the home or object.